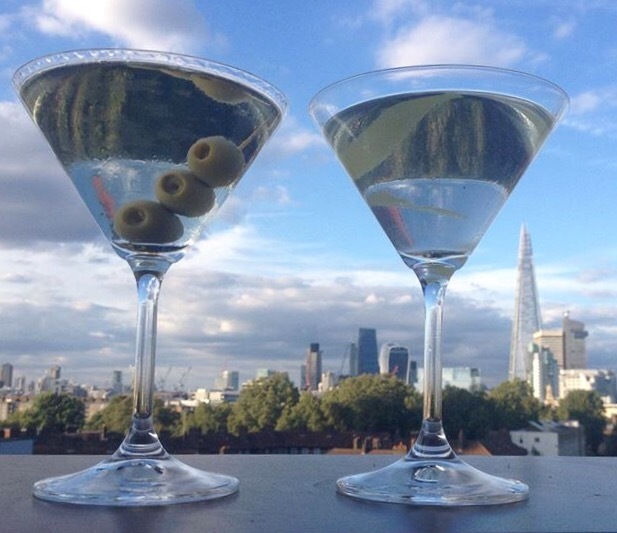 Both dirty and clean – photograph courtesy of Dr. Kirsty. Watching seasons come and go in general. 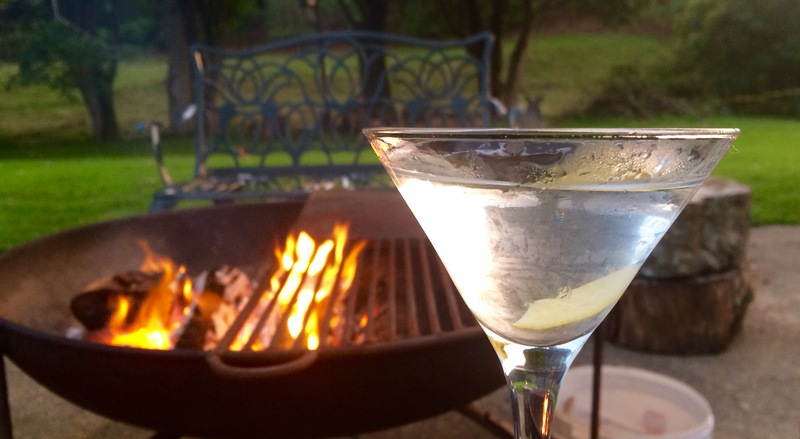 I guess one thing about a martini is taking the time to pause and enjoy things. 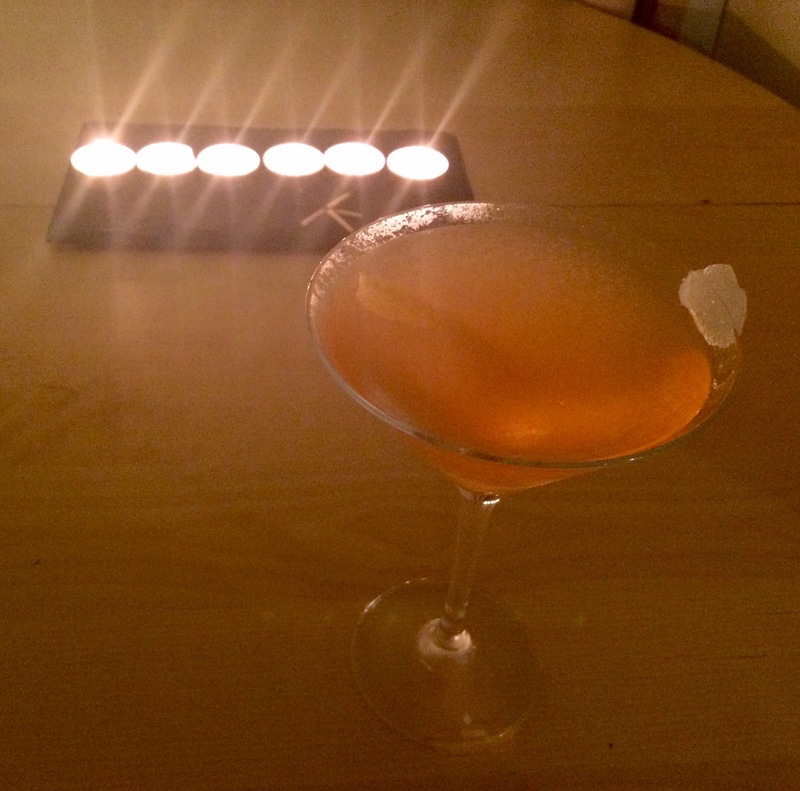 They are the most ‘zen’ of drinks and I love them. 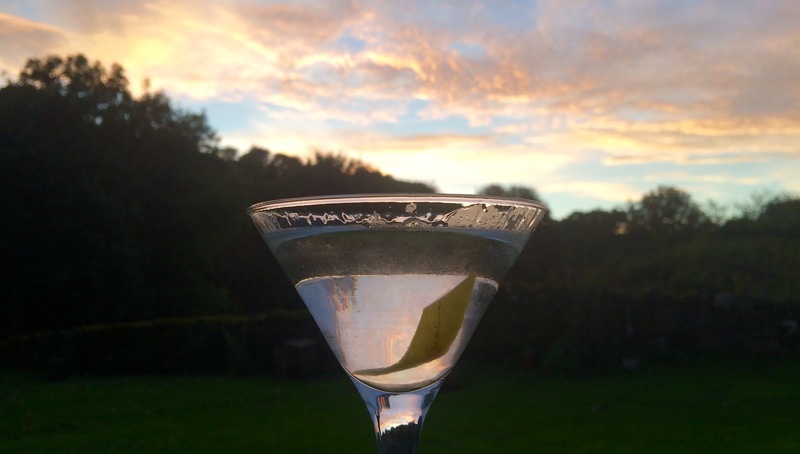 Happy World Gin Day everyone. 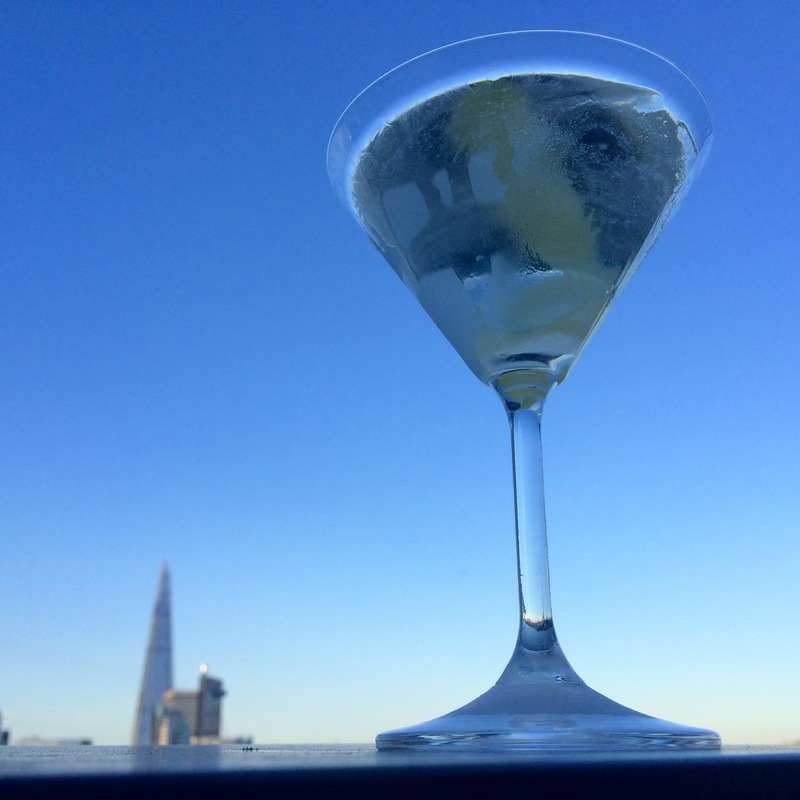 To whet your appetites I’ve put together a selection of some martini images from the last few months. 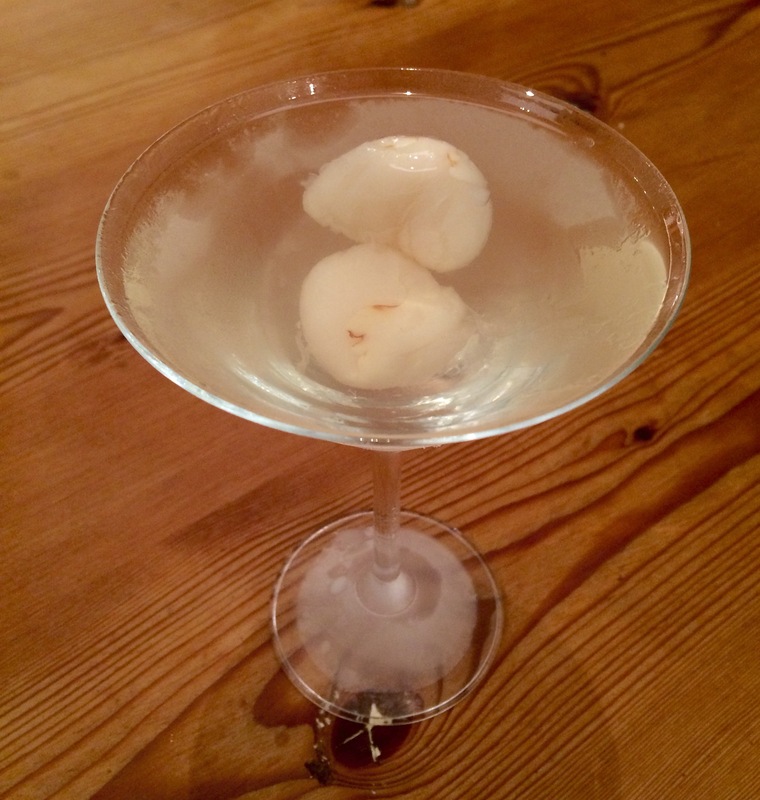 If you fancy making your own tonight, here is my guide. 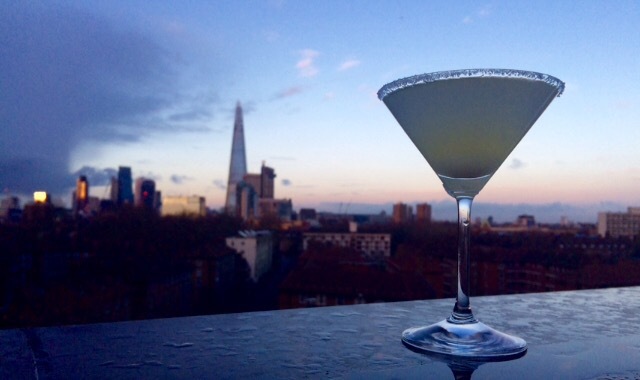 A Lemon Drop Martini during a London Spring sunset. 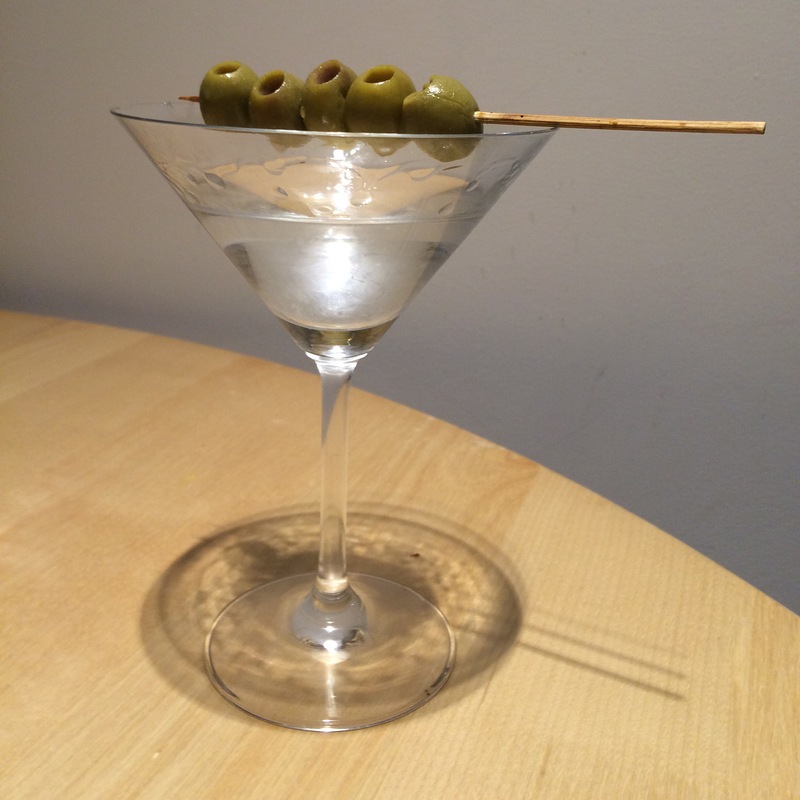 A classic martini, the most elegant of drinks. Channeling Danish hygge at my aunty’s house. 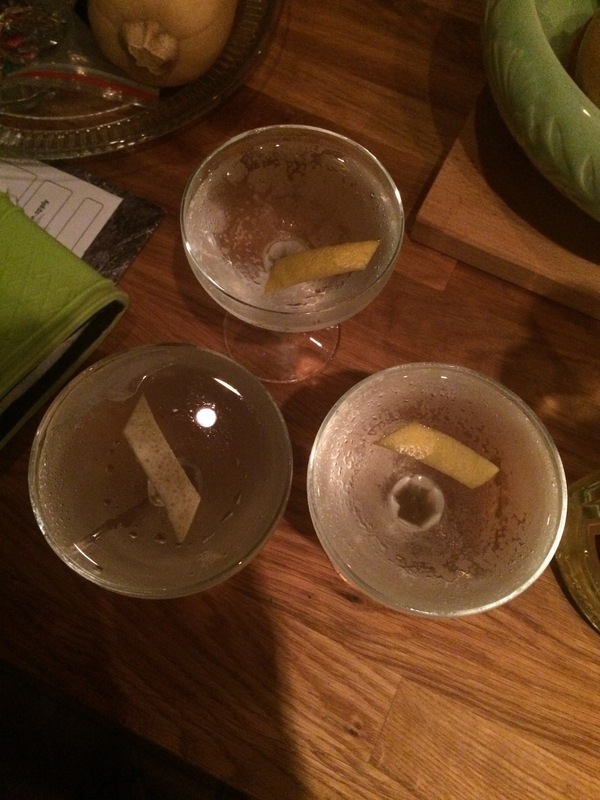 A selection of classics with plenty of nibbles. 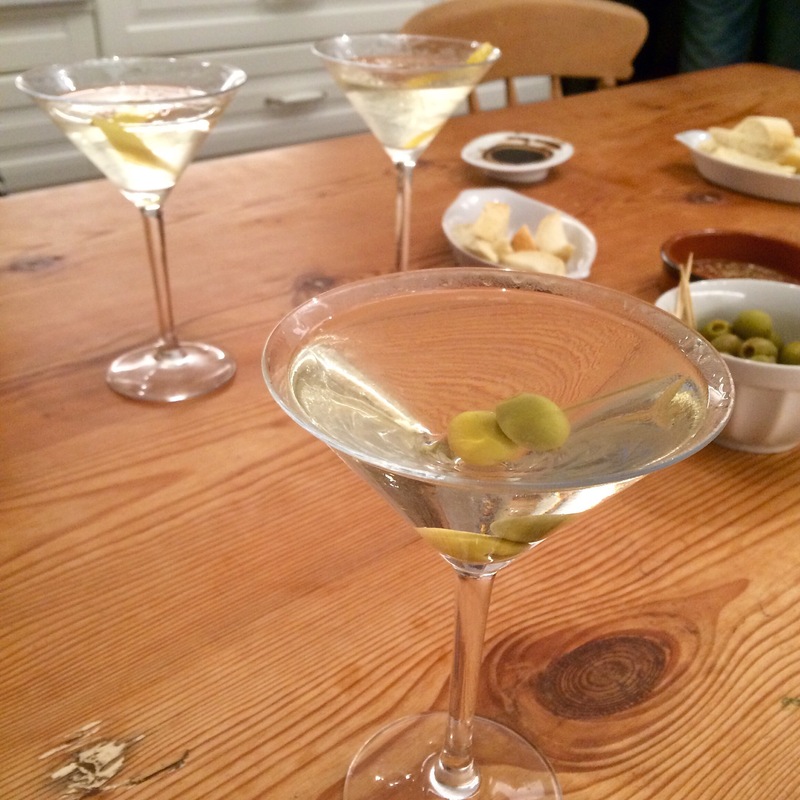 A classic with many olives. “No lace. 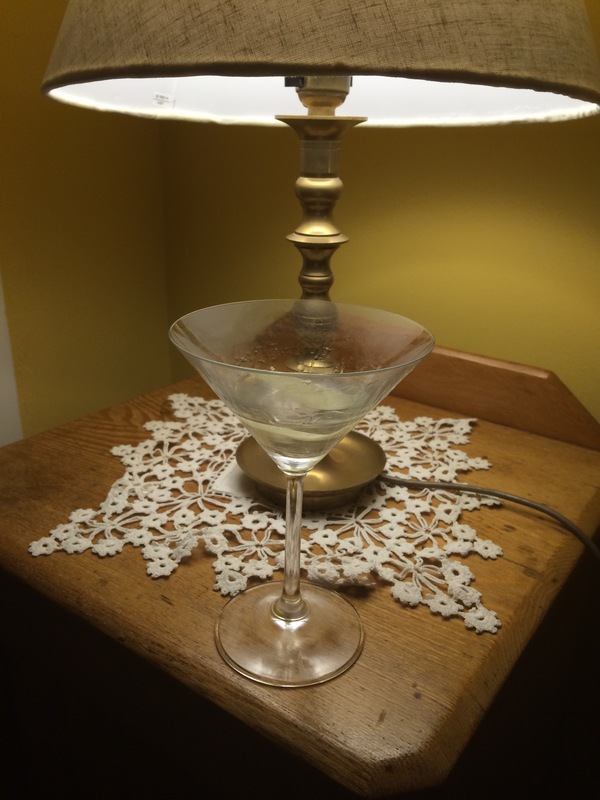 No lace, Mrs. Bennet, I beg you!” – a classic Pride and Prejudice quote that had to go with this martini and doily at home. 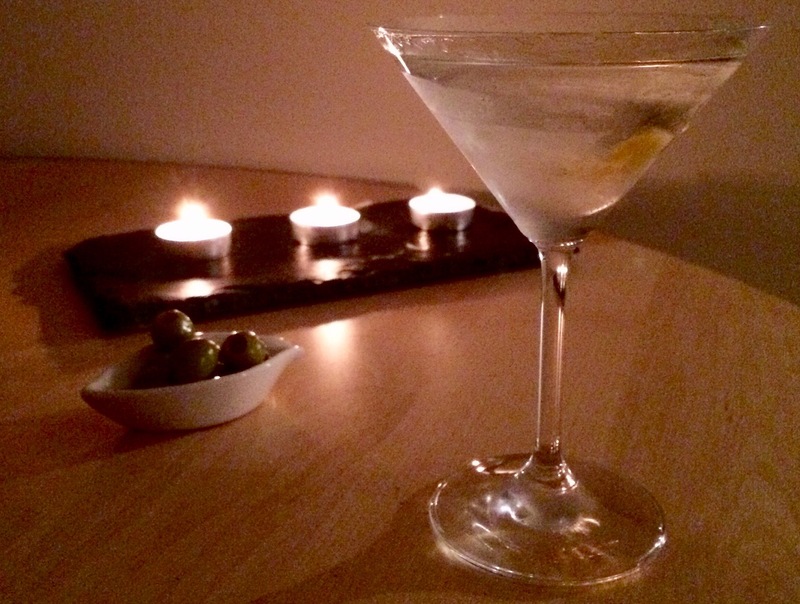 As you may have noticed, martinis go well with candlelight. 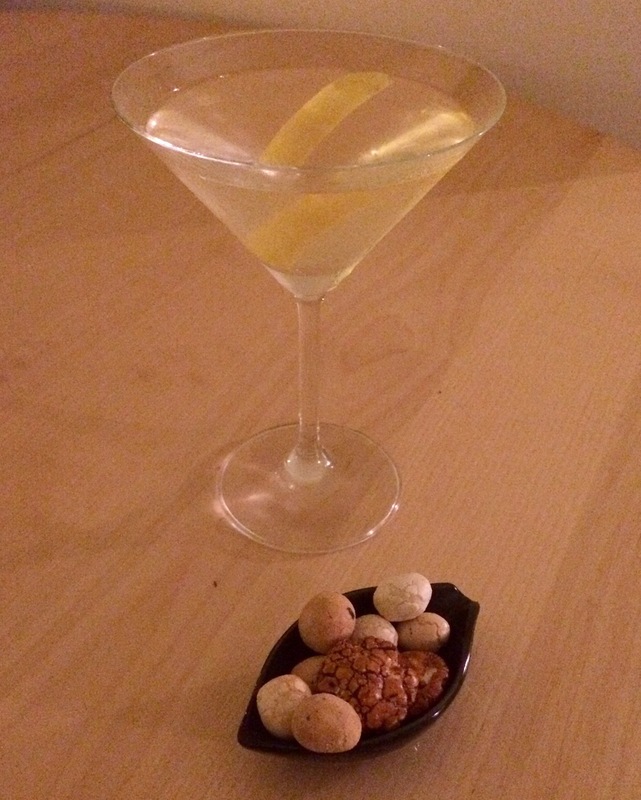 A classic with Japanese peanut snacks. 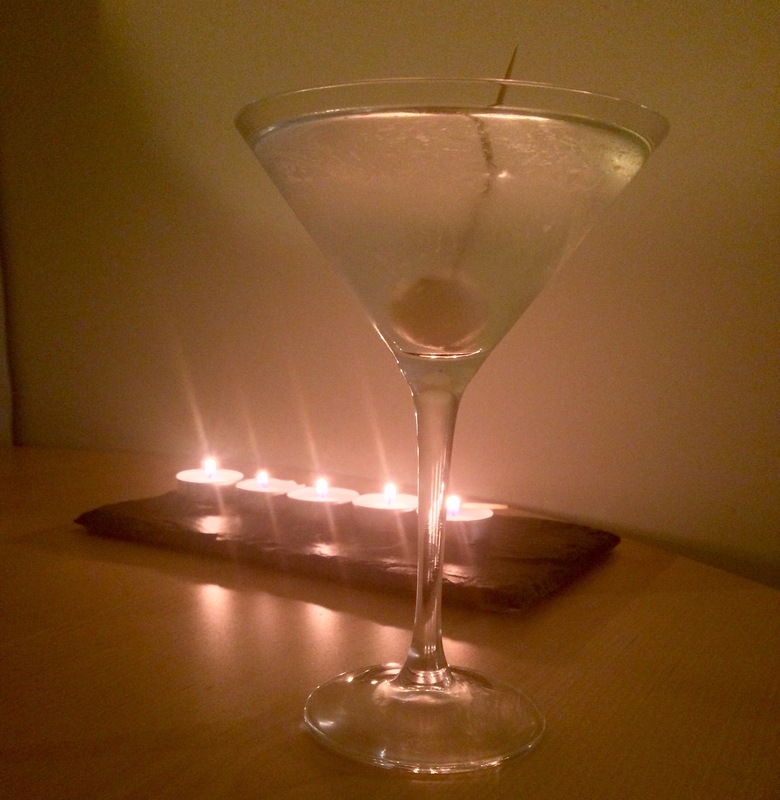 More candlelight, this time with a hot and dirty martini, complete with ice still attached to the glass from the freezer. 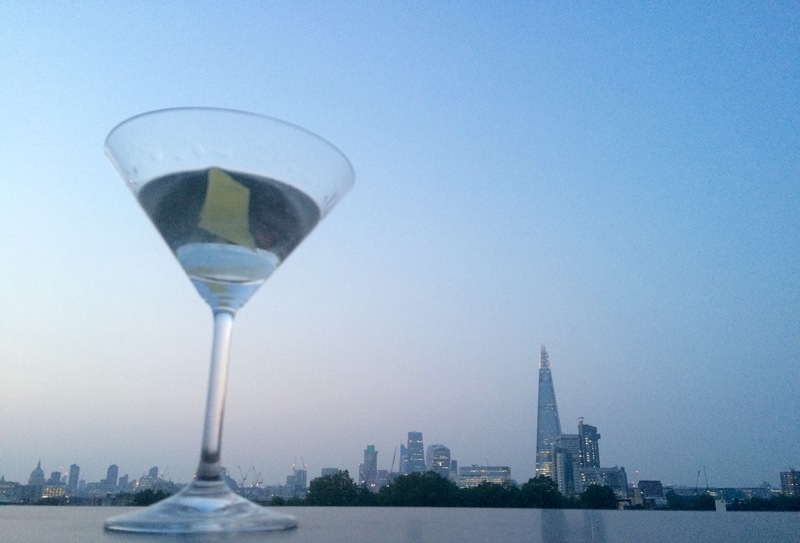 And finally, an optimistic classic on a London summer evening. 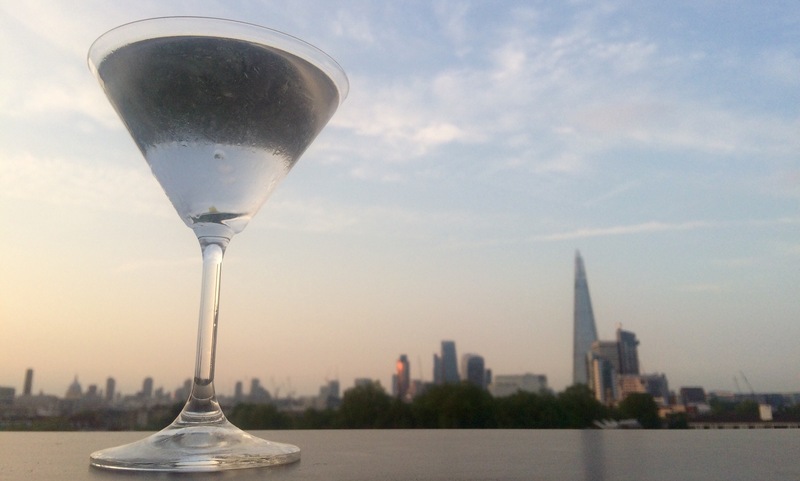 Have a good weekend and enjoy World Gin Day responsibly! 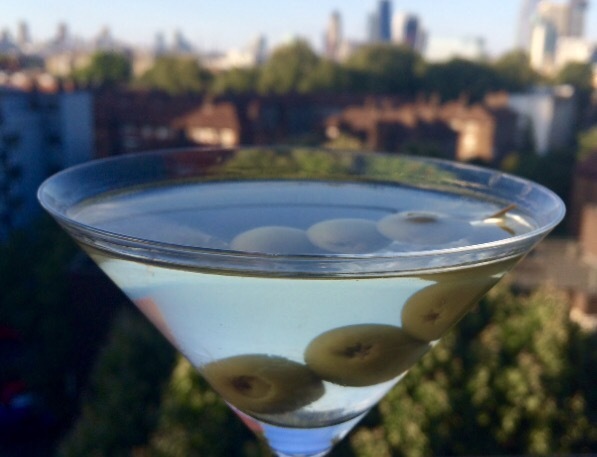 This is a really tasty, easy and even healthy vegetarian dish that you can serve as a vegetable side, a starter or, most importantly of all, as an appetiser to accompany a martini (obviously). I first ate this delicious dish in Koreatown, Manhattan. Of all the wondrous and unusual dishes I gluttonously consumed that night (my favourite being a gigantic simmered squid, still sizzling in savoury sauce with brown sugar lightly caramelising on top) this spinach starter is the easiest to put together, but with all things simple, it’s often easy to get it wrong. I have made the following recipe to my own personal taste preferences so you might want to alter it to add more or less garlic, chilli, soy sauce or oil depending on what you like, but you don’t want to drown it, you don’t want it too oily and you don’t want the garlic overpowering the earthy taste of the spinach either. Also if a Korean ajumma tells you to make the recipe a different way, just do what she says. (Simply multiply the above for the number of people you are preparing for). 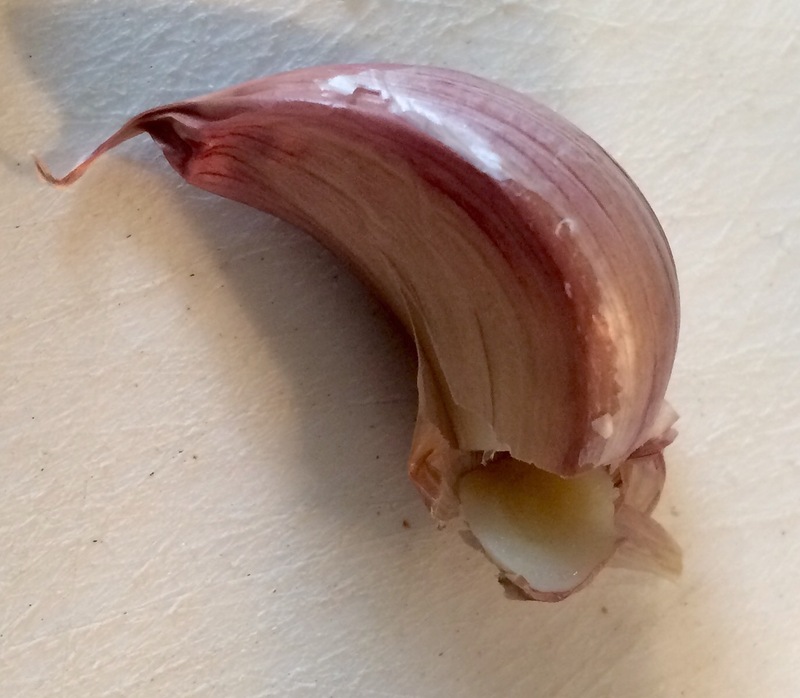 Prepare the garlic first by peeling the number of cloves you want to use. Here’s a tip: take the cloves you need and put them in the microwave on full heat for 2 seconds. No more! You’re not cooking the garlic in the microwave, you’re simply loosening the hard peel from the flesh. If you slice off the end now, you will find it much easier to peel. Thinly slice then chop the garlic into fine pieces. 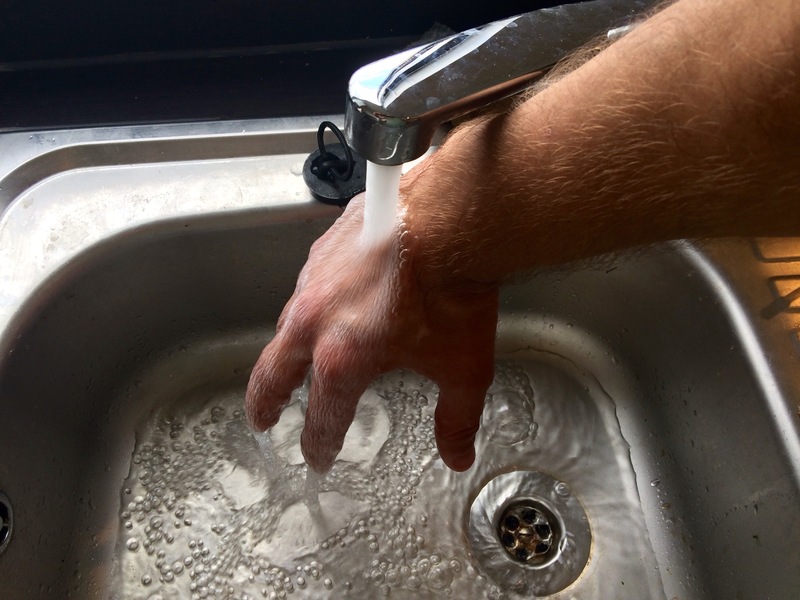 Here’s another tip: to wash off the garlic smell simply hang your hand loosely under a running tap of cold water so that the water runs down your fingertips and off the ends. Hold it there for about 20 seconds or so. This seems to wash off the garlic. It’s particularly effective if you have a stainless steel sink that you can rub your fingers on as well. Bring water to the boil in a large pan. Add the spinach and blanch for about 20-30 seconds. It should turn a bright green. The volume of the spinach will also reduce significantly. 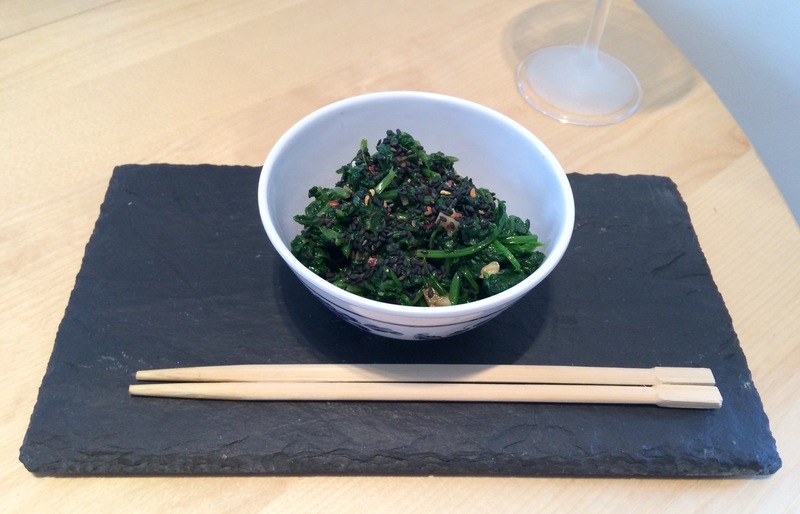 If you are making this for a lot of people you might need to cook the spinach in batches. When cooked, transfer immediately to a sieve and run under cold water to cool it thoroughly. 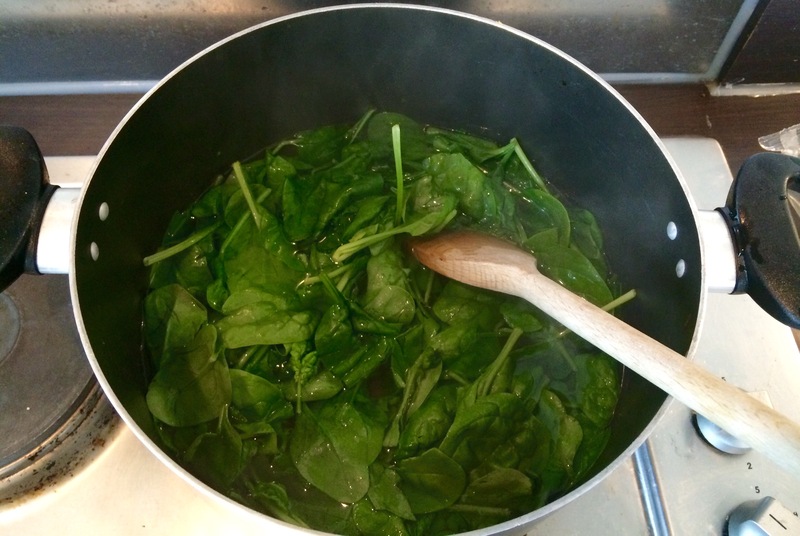 While the spinach is draining, mix the sauce by combining the garlic, soy sauce and sesame oil. 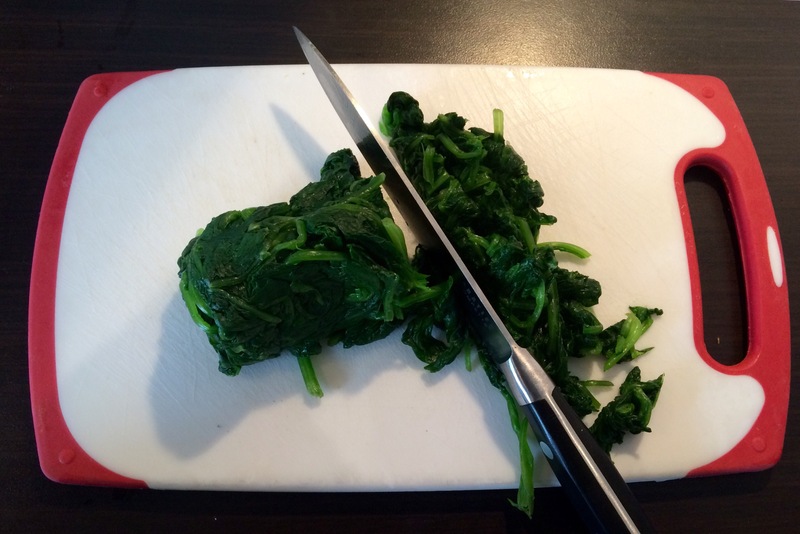 Gently squeeze the spinach to remove excess water then transfer it to a chopping board and cut it up. Transfer it to a large bowl (or you could reuse the pot that you cooked the spinach in if you’ve wiped it dry). 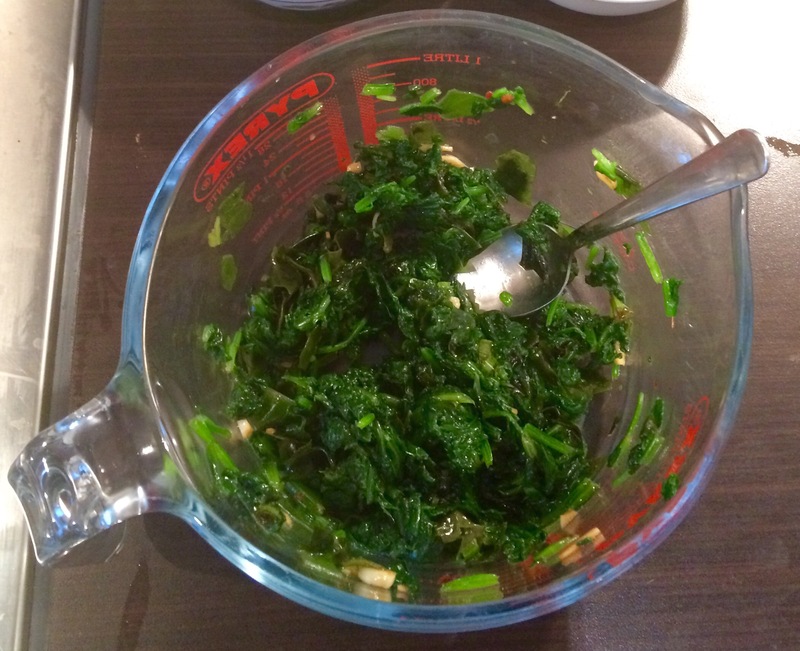 Add the sauce and mix it into the spinach (you can do this by hand but I used a teaspoon). You can either serve it immediately or put it in the fridge to serve chilled later. When serving, sprinkle sesame seeds on top. 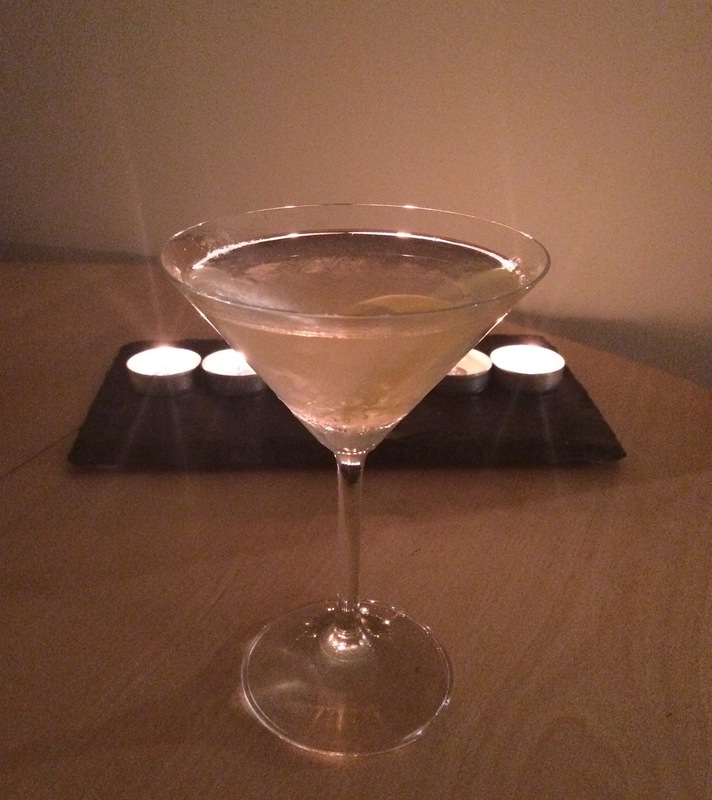 It is also common to add sliced spring onion as a garnish on top as well. 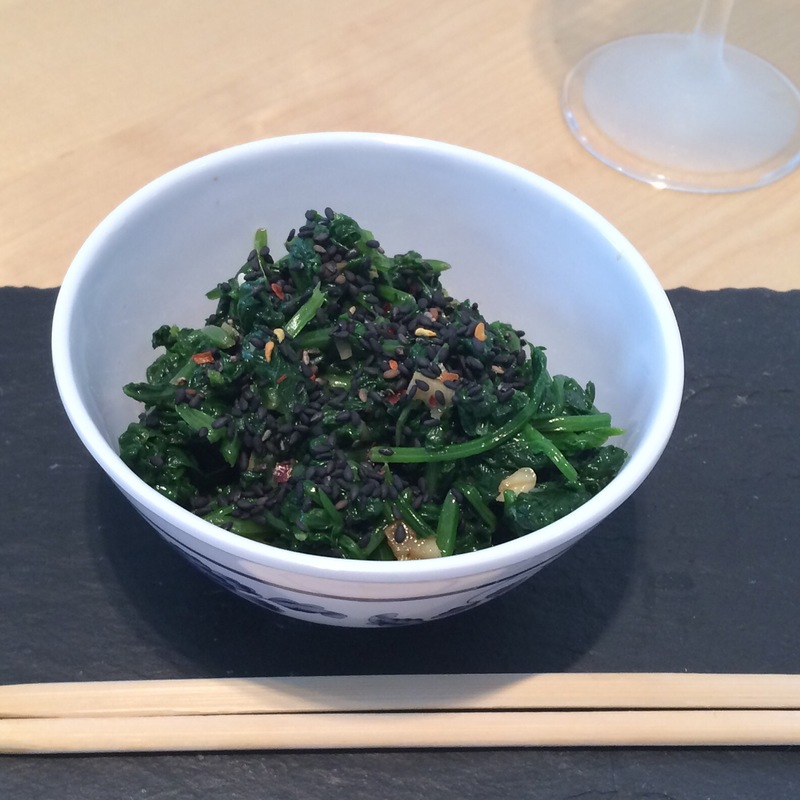 If you want to bulk it up with some nutritious umami I sometimes put a handful of dried wakame seaweed into a glass of water to soak for 5-10 minutes while making this dish. When you are about to chop up the spinach drain the seaweed and squeeze out the excess moisture and add it to the spinach to be chopped up with it. 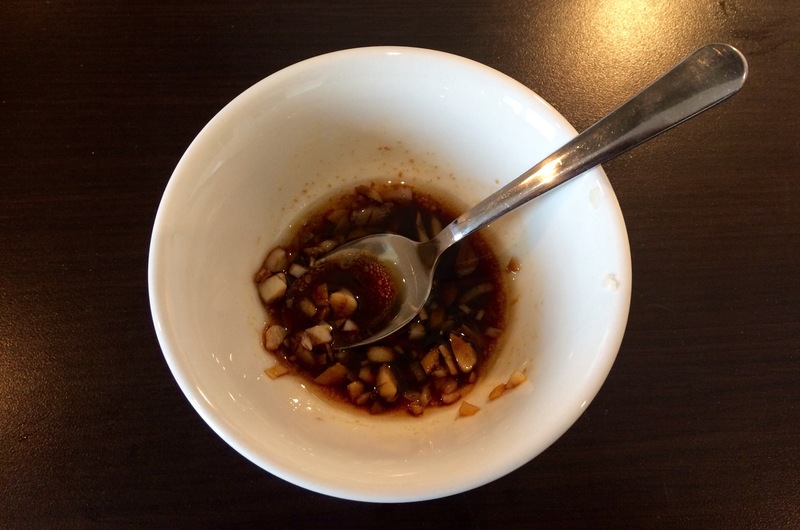 If you want to be über nutritious lightly grind the sesame seeds in a mortar and pestle before sprinkling them over. If they are slightly broken it makes them more digestible and allows your body to absorb more of their nutrients. 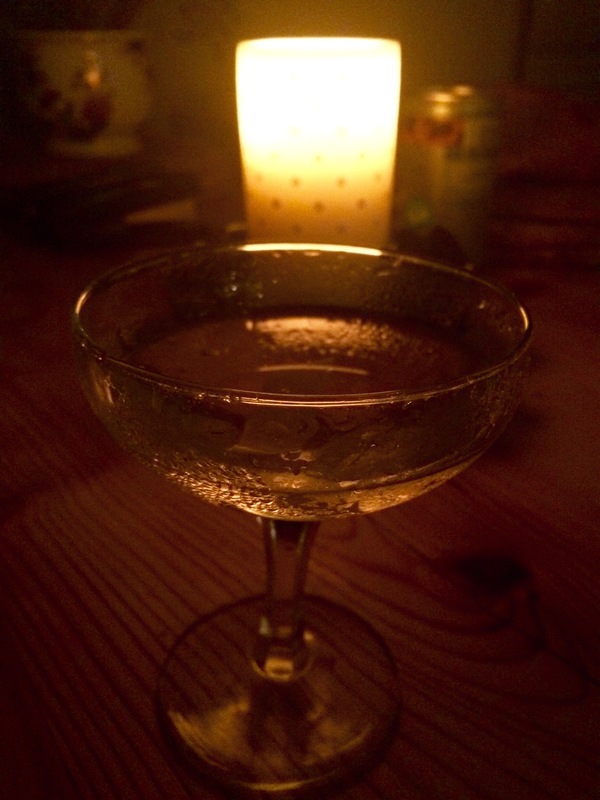 Obviously don’t forget to pour yourself a martini (or some soju) when you serve this. 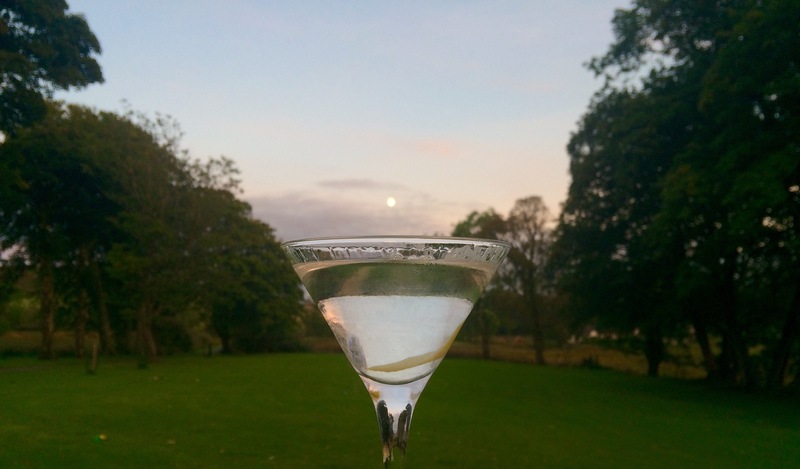 Make sure you pour a large measure for any long suffering ajummas in your company as well. They deserve it!